Emery Home Inspection has been serving the Columbia, Missouri area since 1996. In 2004 our founder Bob Emery passed the baton to the current owner and inspector, Mike Rawlings. We are a family business dedicated to providing the highest quality home inspection services. It is our goal that your home inspection be an informative and educational experience; an opportunity to learn about the home which you are about to buy. Our extensive training, professional certification and advanced equipment ensures that each client receives an outstanding home inspection, detailed in a narrative, photo packed report. Graduate of Midwest Inspectors Institute. Joined Emery Home Inspection in 2004. Background in Business Finance, General Construction Contracting including framing, painting, and roofing. 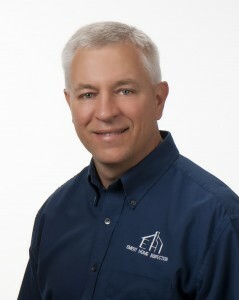 American Society of Home Inspectors(ASHI) Certified Inspector; Former President, Secretary/Treasurer, and current Webmaster of Mid-Missouri Chapter of ASHI; Member of the Missouri Association of Home Inspectors(MAHI); State of Missouri – Licensed Wood Destroying Insect Inspector; CertainTeed Master Shingle Applicator.